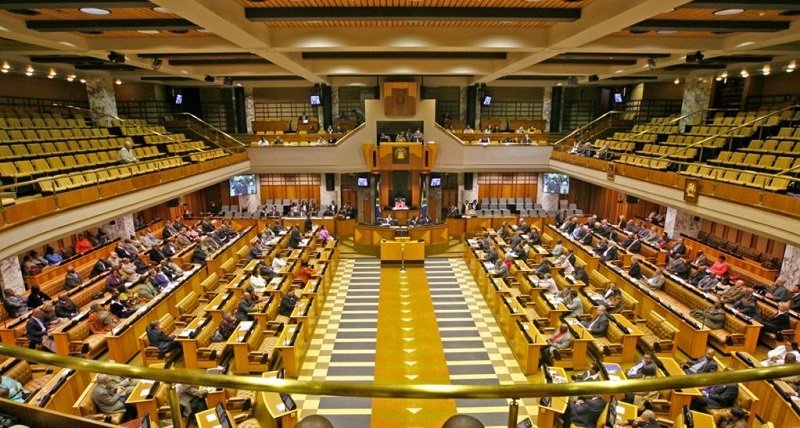 South Africa has a vibrant multiparty political system, with 13 parties represented in the National Assembly of Parliament. The African National Congress is the majority party, with 264 of the 400 National Assembly seats. 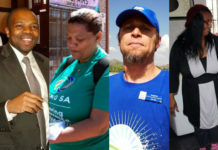 The party also controls eight of the country’s nine provinces, with the exception of the Western Cape, where the Democratic Alliance won the majority in the 2009 elections. The ANC also controls five of the six metropolitan municipalities. Nonetheless, South Africa’s opposition parties remain robust and vocal. 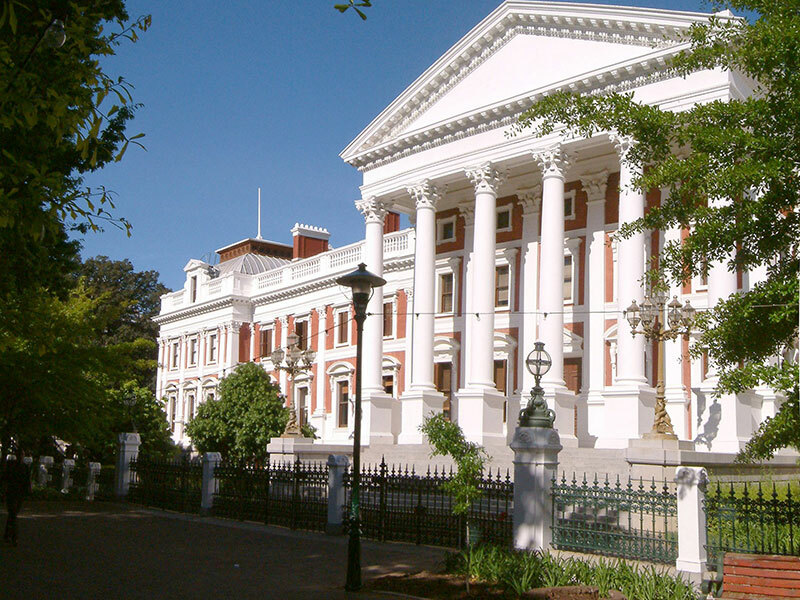 South Africa’s Parliament is made up of two houses: the National Assembly and the National Council of Provinces. The National Assembly is the more influential, passing legislation and overseeing executive performance. Its members are elected for a term of five years. All South African citizens over the age of 18 eligible to vote, if they register to do so. So far, South Africa has had fully inclusive democratic elections in 1994, 1999, 2004 and 2009. Before 1994 only white South Africans were allowed to vote for the national government. A controversial feature of the South African political system, now abolished, was floor crossing. Members of political parties appointed to the national, provincial and local legislatures had two opportunities during their term, two weeks long and spaced two years apart, to cross the floor and join another party. This was controversial as party delegates are not directly voted into their positions; instead, votes are cast for the party itself, which then appoints representatives. It also created political parties in Parliament – currently three – that never stood for a single election. In August 2008 Parliament abolished the practice, in time to prevent the current term’s second floor-crossing window, which was due to begin on 9 September. The following is a summary of the history and policies of South Africa’s major political parties. 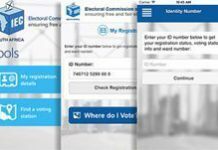 For a list of all South African political parties registered with the Independent Electoral Commission, visit the Independent Electoral Commission website. The South African Native National Congress was founded in 1912 with the aim of bringing Africans together to defend their rights and fight for freedom. In 1923 its name was changed to the African National Congress (ANC). Following the 1960 Sharpeville massacre, the party was banned by the Nationalist government. From 1961 organised acts of sabotage began, marking the emergence of Umkhonto we Sizwe, the armed wing of the ANC. The ANC was to be an underground and exiled organisation for the next 30 years. In February 1990, the government unbanned the ANC and released Nelson Mandela and other political prisoners. The ANC was again able to openly recruit members and establish regional structures. In the historic 1994 elections the ANC won 62% of the vote. Nelson Mandela became South Africa’s first democratically elected president. In the 1999 elections the party increased its majority to a point short of two-thirds of the total vote. A two-thirds majority allows a party to change the constitution. Thabo Mbeki succeeded Mandela as president of the country. ANC policy is to increase economic growth and reduce poverty. The Freedom Charter remains the party’s basic policy document. Adopted in June 1955 by the ANC and its allies, the charter lists principles upon which a democratic South Africa should be built. democratising state institutions and society. In 1996 the ANC adopted the Growth, Employment and Redistribution macroeconomic strategy, or Gear. This is a strategy for rebuilding and restructuring the economy in line with the main principles of the RDP. In the 2004 elections the party retained its two-thirds majority (69.7%), but lost it in the 2009 elections, when its majority fell to 64.9%. Also see the South African Communist Party and the New National Party, below. The Democratic Alliance, formerly known as the Democratic Party (DP), espouses liberal democracy and free market principles. The party’s forerunner was the Progressive Federal Party (PFP), whose veteran politician Helen Suzman was its only representative in the white Parliament for many years. Suzman upheld liberal policies in the apartheid-era legislature and spoke out against apartheid laws. In the 1980s the party increased its Parliamentary seats to seven. Among the new MPs was Tony Leon, who became DP leader in 1996, introducing a more aggressive approach to opposition politics. The DP’s campaign slogan for the 1999 elections – “Fight Back” – gained it a substantial number of white voters who were disillusioned with the New National Party. It increased its share of the vote from 1.7% in 1994 to about 10% in 1999 (as the former DP), 12.4% in 2004 and 16.6% in 2009. In 2000 the DP joined forces with the New National Party to form the Democratic Alliance (DA). But the NNP withdrew from the pact in late 2001, and was disbanded in 2004. Leon resigned as party head in 2007, to be replaced by Helen Zille, who was also executive mayor of the Cape Town metro. Zille has since become the premier of the Western Cape, and was replaced as mayor in April 2009 by Dan Plato. a vigorous, critical and effective opposition that is loyal to the constitutional order and promotes the well-being of the country. The Congress of the People (Cope) is a new party that contested its first in April 2009, winning 7.42% of the vote. It was formed by breakaway ANC members dissatisfied with that organisation’s decision to “recall” then-President Thabo Mbeki in September 2008 and replace him with Kgalema Motlanthe. Cope was launched in early November 2008 at the November Convention held in Johannesburg. Its prominent members include Mosiuoa Lekota, the former minister of defence who resigned from Cabinet after Mbeki stepped down, as well as former Gauteng Premier Mbhazima Shilowa, former Congress of South African Trade Unions president Willie Madisha, and Barney Pityana, the vice-chancellor and principal of the University of South Africa. The Inkatha Freedom Party (IFP), led by Mangosuthu Buthelezi, draws its support largely from Zulu-speaking South Africans. Its strongholds are the rural areas of KwaZulu-Natal and the migrant workers’ hostels in the metropolitan areas of Gauteng. Buthelezi has led the IFP since he founded it as the Inkatha National Cultural Liberation Movement in 1975. His political career dates back to the 1940s, when he joined the ANC Youth League while studying at Fort Hare University. In 1953 he took up a position as chief of the Buthelezi clan, and in 1970 was appointed head of the KwaZulu Territorial Authority in terms of the apartheid-era Bantu Administration Act. He became the homeland’s chief minister in 1976. Inkatha was transformed into a political party in July 1990, championing federalism as the best political option for South Africa. introducing more cost-effective fiscal management in government. The IFP also believes in integrating traditional leadership into the system of governance by recognising traditional communities as models of societal organisation. Buthelezi heads KwaZulu-Natal’s House of Traditional Leaders, which advises the government on issues relating to traditional leaders. Since the 1994 elections, members of the IFP have occupied Cabinet positions at national level. Since the elections of 2009 the IFP is one of six parties in the KwaZulu-Natal provincial legislature, where it holds 18 seats to the ANC’s 51. The Independent Democrats (ID) is one of South Africa’s newest mainstream political party, formed in March 2003 under the leadership of Patricia de Lille. De Lille is a former trade unionist and a long-time member of and MP for the Pan Africanist Congress, which she left to form the ID. De Lille has gained massive support for her forthright stand against corruption. A 2004 survey revealed her to be South Africa’s favourite opposition politician. With the motto “Back to Basics”, the ID’s policies are fairly centrist. The party is at one with the ANC on the economy, health and jobs, although De Lille outspokenly differed with the ANC’s earlier policies on HIV/Aids. “We are not going to be branded communist, socialist or capitalist. We are going to be constitutionalists,” De Lille said at the party’s launch. The ID claims a signed-up membership of 13 000. In the 2004 survey, De Lille was found to be the most trusted politician among coloured voters and was second favourite in the white and Indian communities. 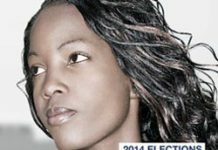 The ID is seen to have attracted former DA supporters, people disillusioned with that party’s ill-fated alliance with the NNP. The United Democratic Movement (UDM) was formed in 1997 by Bantu Holomisa, who was expelled from the ANC after accusing a top party official of corruption. Holomisa, the former military strongman in the former homeland of the Transkei, teamed up with Roelf Meyer, a former Nationalist Party Cabinet minister, to form a new party. Meyer later left politics to pursue other interests. The UDM sees itself as a contender for power with the ANC. Holomisa says his party is aiming to become an alternative government. His party campaigns around issues which it believes the government is handling badly. The Freedom Front was formed in 1993 by Constand Viljoen, the former chief of the South African Defence Force. Viljoen came out of retirement to lead a group of Afrikaners who wanted to form a political party. As head of the Afrikaner Volksfront, Viljoen was instrumental in convincing conservative Afrikaners to participate in the new dispensation, through which, he argued, the issue of self determination should be taken up. The new Freedom Front Plus, headed by Pieter Mulder, has four seats in the National Assembly and single provincial seats in Gauteng, the Free State, Mpumalanga, the Northern Cape and North West. The African Christian Democratic Party (ACDP) was formed in December 1993 with the aim of representing South African Christians in Parliament. It won two seats in 1994 and six in 1999. 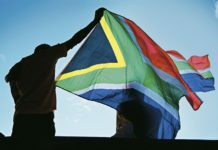 The ACDP was the only party in the National Assembly that voted against the adoption of the Constitution in 1994, citing moral and Biblical objections to some of the document’s clauses – particularly the rights of gays and lesbians. According to its manifesto, the ACDP stands for “Christian principles, freedom of religion, a free market economy, family values, community empowerment and human rights in a federal system”. The United Christian Democratic Party (UCDP) was formed by Lucas Mangope, head of the apartheid-era “homeland” of Bophuthatswana. Mangope was among the first homeland leaders to accept so-called independence for his scattered country for the Setswana-speaking people. The UCDP was the only party allowed to operate in the territories under his control. The Pan Africanist Congress (PAC) was formed in 1959 as a breakaway from the ANC. Influenced by the Africanist ideals of Kwame Nkrumah, it promotes the return of the land to the indigenous people. The PAC was outlawed with the ANC in 1960 after the Sharpeville massacre. Its leaders were exiled or detained for long periods. These included Robert Sobukwe, its founder and leader, who was incarcerated in Robben Island until 1969 and then placed under house arrest until his death in 1978. The Minority Front is led by the maverick Amichand Rajbansi, and claims to represent the interests of the Indian community. Apart from its two seats in the National Assembly, the party is also represented in the Durban metropolitan council. The Azanian People’s Organisation (Azapo) preaches the philosophy of black emancipation and black consciousness, a philosophy popularised by Steve Biko, who was killed in police cells in 1977. The African People’s Convention Azanian People’s Convention was created out of the 2007 defection of two prominent PAC members of parliament. It was the only party created by floor-crossing to contest the 2009 elections. The party was relaunched as an underground party in 1953 after its predecessor, the Communist Party of South Africa, was banned in 1950. Formed in 1921, the Communist Party of South Africa was predominantly white, but later on attracted black intellectuals, who in turn recruited black workers into its ranks. In 1946, one of its leading members, JB Marks, led 100 000 black miners in a strike that contributed to the party’s banning in 1950. The SACP has had a close working relationship with the ANC since the 1960s, when anti-apartheid organisations were forced to operate from exile. Members of both organisations held dual membership and served in the structures of both bodies. The party’s membership overlaps with those of the ANC and the Congress of South African Trade Unions (Cosatu), its partners in what is known as the tripartite alliance. It has significant representation in the ANC and government, from the executive down to local government structures. The party believes in the establishment of a socialist society, which it says should be characterised by democracy, equality, freedom, and the socialisation of the predominant part of the economy. The SACP and Cosatu have openly disagreed with the government’s macroeconomic strategy, Gear, and the privatisation of state assets, arguing that the policy has failed to create jobs. The New National Party (NNP), formerly the Nationalist Party, ruled South Africa for the 40-plus years of the apartheid era, from 1948 to 1994. The second-largest party after the first democratic elections in 1994, its voter base has largely abandoned it in the years since. In the 1994 elections the NNP, led by FW de Klerk, gained 20% of the vote, making it the official opposition to the ANC government. 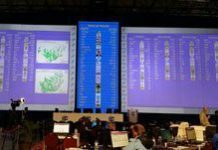 It also won a majority of votes in the Western Cape province, giving it control of the provincial legislature. The NNP, along with the IFP, joined Nelson Mandela’s government of national unity after the 1994 elections. De Klerk was one of two executive deputy presidents, the other being the ANC’s Thabo Mbeki, and NNP members occupied important Cabinet positions. This ANC-NNP coalition also extended to the Western Cape, where the two parties shared executive posts. The NNP, however, withdrew from the government of national unity in 1996, leaving the ANC and IFP as the only partners in Cabinet. Marthinus van Schalkwyk took over the leadership of the NNP in 1997, at a time when the party was facing an organisational crisis as well as increasing defections to opposing parties. After suffering heavy losses in the 1999 elections, the NNP joined forces with the DP and the Federal Alliance to form the Democratic Alliance in July 2000, making the NNP and DP the ruling coalition in the Western Cape. 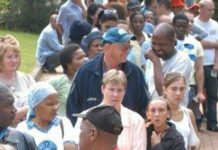 Just over a year later, in October 2001, the NNP withdrew from the Democratic Alliance, throwing the Western Cape political situation into turmoil. The province is now controlled by the ANC. In August 2004 the NNP’s national executive took a unanimous decision to disband the party. Most of its former representatives now belong to the ANC. The party’s former leader, Marthinus van Schalkwyk, is now minister of Environmental Affairs and Tourism. Play Your Part and register to vote!